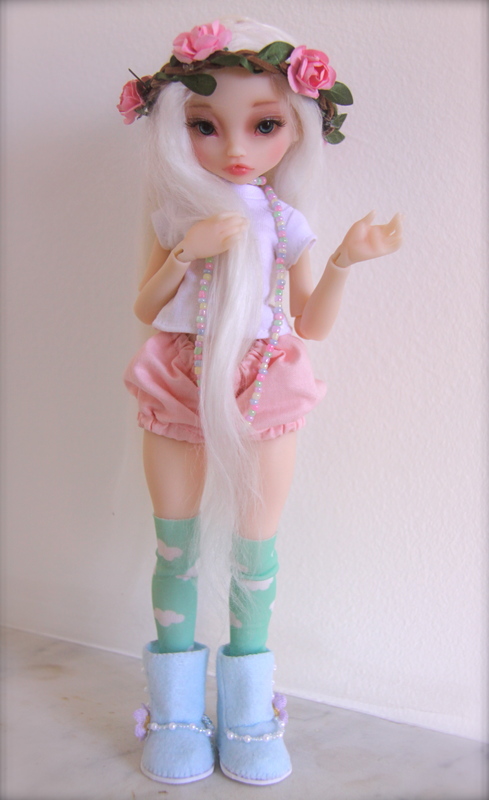 she is a Noble Dolls Rhubarbe, from Jpop Dolls. she doesn’t have a name as yet, but i absolutely adore her. she has the cutest little (or should i say ‘big’!) booty, and her resin feels so smooth and lovely. when i ordered her, i was quite undecided as to whether to order a faceup or not (i didn’t think much of the faceup in the sales pictures, but most faceup artists are not in Australia, and there’s a risk when sending faceplates overseas, plus you have a faceless doll for a while!) but in the end, i am so glad i did! 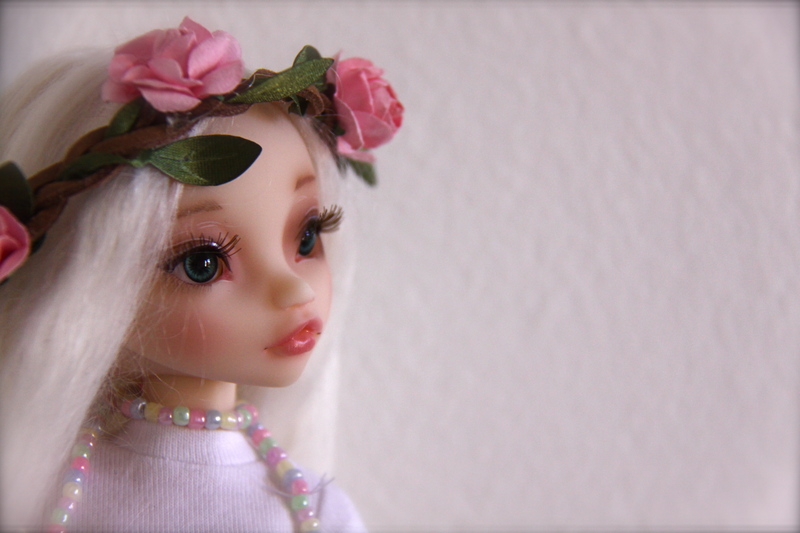 her faceup is beautiful, delicate and perfect. now just to think of the perfect name for her! Hi Melinda! It was good to hear from you. BTW I now have 3 boys Raven and Finch have been delivered recently, both BID’s..Your new addition is gorgeous, but it seems both of us have problems coming up with names for our Noble Dolls, my Radicelle still is Radicelle. LOL! I love how you have dressed Rhubarbe, but then you have always known how to dress your dolls well.. Look forward to catching up in October, you back permanently or just for a visit? Hope all is well at your end now.